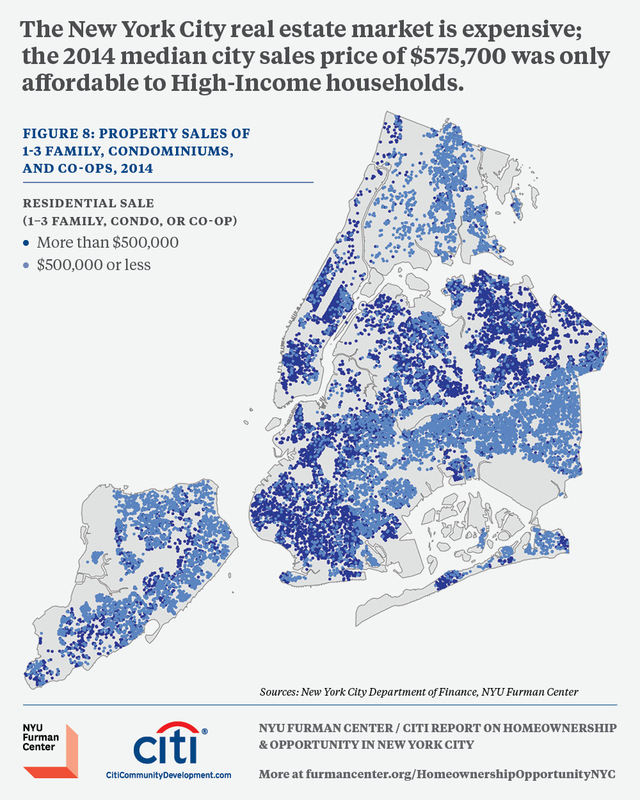 The New York City real estate market is expensive; the 2014 median city sales price of $575,700 was only affordable to High-Income households. 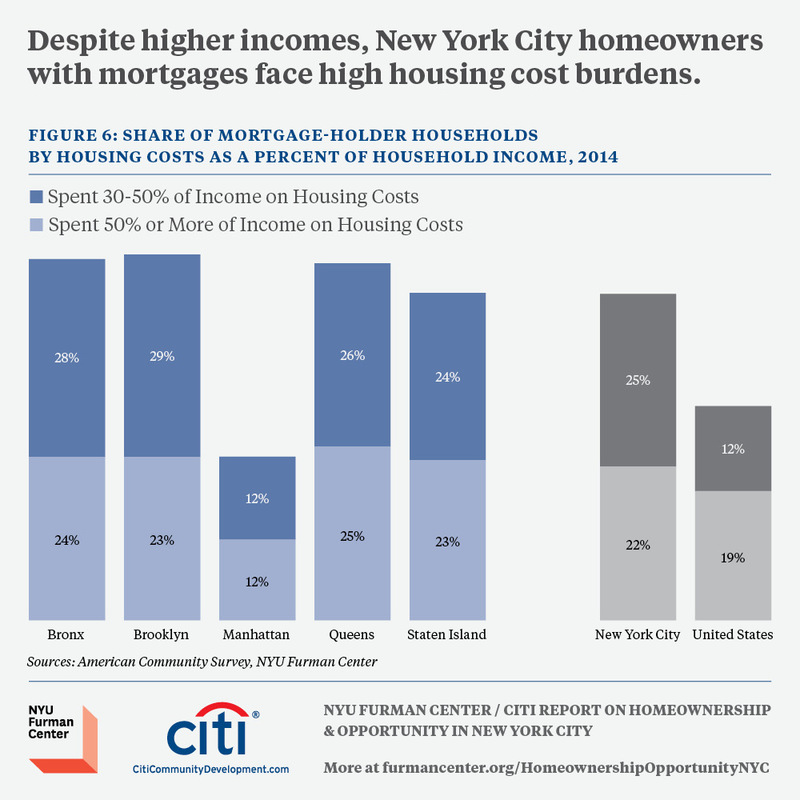 Despite higher incomes, New York City homeowners with mortgages face high housing cost burdens. 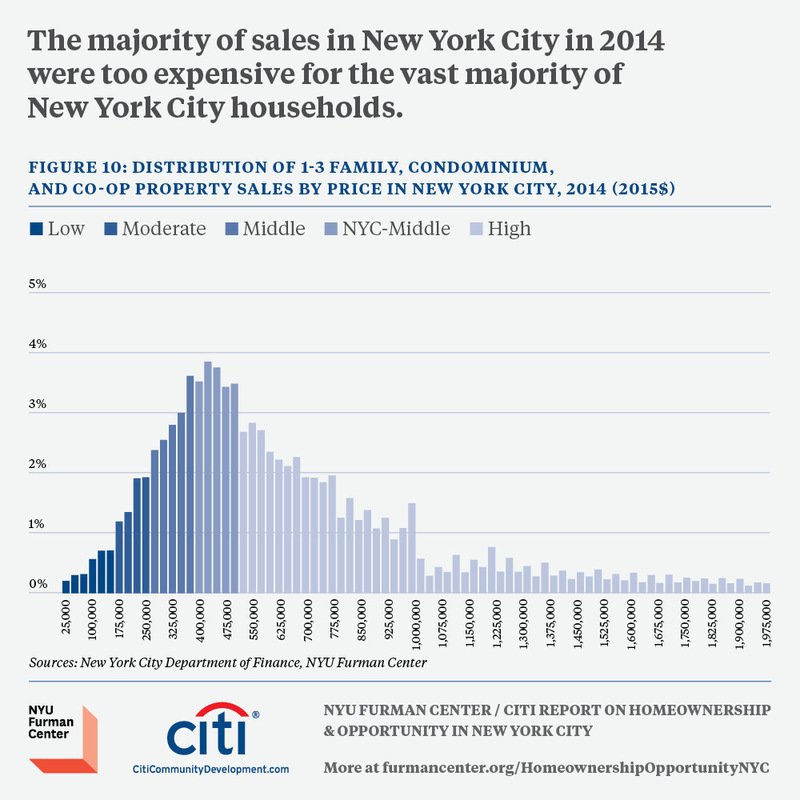 The majority of sales in New York City in 2014 were too expensive for the vast majority of New York City households.